In the middle of Westwood Boulevard’s Little Iran with its multiple kabob restaurants, Persian pastry shops with decadent cakes in the windows and Persian bookstores proudly waving the old Persian flag, there’s a glimmer of hope for Iran’s political future. The first shot fired shattered the kitchen window. The second hit closer to the door and after a few more aimless shots attempting only to announce their arrival, the Revolutionary guards shot off the lock on the door and forced their way in. They entered through the neighbor’s yard and surrounded the house. The thumping sound of their boots running through the yard resembled a scene from the movie Rambo and was disturbing enough to make their 3-year-old neighbor who was playing in the yard, swallow the last bite of her peach together with the pit. The guards poured in sadistically elated to find all their targets in one place. Farahanipour and his friends were in the middle of a meeting, deciding what steps to take next. They remained seated around a round table in the dining room. The first guard approached the group and suddenly kicked one of the young girls in the face. Stunned by his audacity, Farahanipour and the rest of his friends were roused. One of the young men began to speak up, “Leave her alone!” They lifted him out of his seat by his shirt collar. A punch in the jaw hurled him onto the couch. Now they felt they had to comply. Government officials ransacked Farahanipour’s house, collected most of his personal belongings and handcuffed him and his friends. When they ran out of handcuffs they began using telephone wires to tie their hands behind their backs and violently threw them in the back of an unmarked van. They raided Roozbeh Farahanipour’s house the day after he and his friends organized a student uprising at Tehran University July 9, 1999. They were arrested and badly tortured. They had hopes of toppling the Islamic Republic or at least letting the world know that they were anything but idle; or so that’s how Farahanipour, now sitting in a small garden office in Westwood, likes to describe actions that may seem futile and rebellious to many but not to him. “We never thought we’d get the kind of turnout that we did, but it only confirmed how fed up everyone was,” he says trying to remember more specific events of the day. “I liked the feeling of solidarity, running through the streets and chanting slogans at the clerics. ‘Khamenei, be a man, be a man and free the land!’” That was the only non-profane slogan he could think of. While the translation works, the slogan means more in Farsi. He masks a lot of the events with a smile as he retells them. The masking becomes a challenge when he begins to talk about the torture, the beating and the uncertainty of making it through another day. They asked him his name. He answered, “Roozbeh Farahanipour.” Suddenly, they hurled a chair in his direction, aiming for his head. The head guard screamed, “Roozbeh is dead! From now on you are number 607.” That was his cell number. The prison heads were particularly fixated on beating his hands; poetic justice for a writer. They’d whip him until he bled, bruised, and they’d do it all over again. At times, he says, his hands became so numb; he couldn’t tell if they were still attached to his body. They tried to break as many fingers as they could, succeeding with three over the course of his imprisonment. Every time that piece of wood would come down in flogging action against his hands, Farahanipour would close his eyes, hold his breath and prepare for another. They were relentless, hitting the students’ backs and soles of their feet. As they hanged from metal beams across the ceiling, they would be beaten until the guards saw the first signs of blood. Sometimes they wouldn’t even stop at that. But Farahanipour says he and the others would try to show strength and resilience so they would start singing the Iranian national anthem — the same anthem banned by the Islamic Republic and replaced with an Islamic version. The singing would only cause the guards to hit them harder. Their screams echoed in the prison. Thirty-four-year-old Farahanipour resembles his childhood pictures. He still has that baby face with two big, black eyes that turn almond-shaped when he smiles. He’s not so tall, and not so short, but his lofty yet eloquent Farsi rhetoric gives him a tall stature. By training, he is a journalist and a lawyer, and ashamed to admit that he now has to host tables at Shamshiri, a Persian restaurant on Westwood Boulevard, in order to pay the bills. Things haven’t changed that much for Farahanipour absent the beating and torture. Now they have an American twist. Farahanipour runs his political party Marze Por Gohar, MPG or Glorious Frontiers Party out of Los Angeles, sometimes called Irangeles, the closest place to home. Their platform has stayed the same. They are still in search of a way to bring down the Islamic Republic and to replace them with a secular and democratic alternative. They lobby in Washington D.C., organize rallies and protests, speak at universities and publish a monthly magazine in hopes of educating and “awakening” Iranians living in Iran and abroad. Prior to the protest he worked as the publisher and chief editor of a popular monthly dedicated to Iranian studies. The journal was quickly banned by the Islamic Republic when Farahanipour attempted to publish the names of 57 individuals murdered by the government. Farahanipour was prevented from publishing again and determined to get freedom of speech rights for journalists. In1998, Farahanipour along with some of his colleagues organized The National Society of Journalists. They quickly realized that, when dealing with the Islamic Republic, the only way to get things done was to enter the political arena. From then the journalism society became known as the Marzeh Por-Gohar political party. Farahanipour’s political inclinations started when he was young. He was only in the second grade when he says he committed his first “political act.” It was right after the Revolution when Muslim clerics dismissed a popular children’s television host, Ehteram Boroumand, who had refused to wear the Islamic veil on television. Farahanipour objected to her dismissal, so he led his classmates to the yard and staged a protest, chanting, “We want Mrs. Boroumand now (yaallaa)”. He also remembers receiving his first beating from the school headmaster, who used a heavy, wooden ruler. It is all too familiar for Farahanipour who says he’s been on the Islamic Republic’s radar even before the protest. The government referred to MPG as an “illegal party” and called Farahanipour a “leader of the unrest” from the start. So when he was arrested with several others, he knew his punishment would be worse. The blindfold gave it all away. When they arrived at the prison all the students were forced to change into prison uniforms. Farahanipour kept thinking about the girls in the group who were asked to undress in front of the guards just the same. He knew that their modesty, which is so revered in Persian culture, wouldn’t be respected. Then they were all blindfolded with standard grey blindfolds. Farahanipour’s was different. “They wanted me to be easily distinguishable,” he says, recalling the ridicule, name calling and abuse. Despite all the abuse, Farahanipour says his mother suffered the most. As she saw the men entering their home, her first reaction as a typical Iranian woman was to run to the kitchen to bring them some tea. Farahanipour laughs as he describes his mother’s naïveté. She saw no difference between her son and these young men. To her, they were all Iranian children. When she brought out the tea, she was surprised to find that they wouldn’t drink it. The guards of course, figured she was trying to poison them. When she realized what was actually going on and that her son was taken away, she began to panic, but severe anxiety consumed her only after she received a fake call from the prison saying they had killed her son. Another student’s father died of a heart attack when he got that same call. Ironically his son lived to hear about it. After 11 months of interrogations, he was released on 50,000,000 Rials bail, around $10,000, paid with the deed to a friend’s house. As much as he loved his country he says, he knew if he stayed he’d be killed. He quickly gathered whatever personal belongings the guards hadn’t seized and escaped to Turkey. After a short stay in Turkey, he arrived in the U.S. in 2000. Since then, Farahanipour has spent most of his time educating and familiarizing others with his party. Even though Farahanipour and most expatriate Iranians have been against the idea of an Islamic Republic – having a formerly secular country like Iran in the hands of clerics — the number of dissidents who have adopted a voice has increased as current President Mahmoud Ahmadinejad’s extreme views such as taking Israel off the map and Holocaust denial have become public. Farahanipour and his party have never felt a better opportunity to push for a free Iran. The environment in Iran is perfectly set up to support a revolution, he says citing that more than 2/3 of the country’s population is under the age of 30. 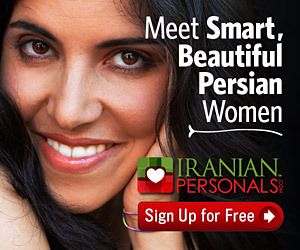 Young Iranians are completely westernized. They love Ipods, extreme sports and, unfortunately, illegal drugs. “There is a sufficient middle class that will welcome a revolution, and if it’s accompanied by economic changes, the other classes will go along with it as well,” Sanasarian says, pointing to various conditions that make it an opportune moment for a revolution such as the country’s love for modernization and a high unemployment rate. One of the obstacles opposition groups have faced in recent years is unity. There are many groups who oppose the Islamic Republic garnering support both inside and outside Iran, yet they do not necessarily agree with one another. There are the monarchists who favor the return of the monarchy overthrown in 1979 under the Shah’s son now living in Virginia. There is also the Mojahedin-e-Khalgh or MEK who believe in an Islamist Marxist government. Incidentally, the MEK is listed as a terrorist organization with the U.S. Department of Homeland Security. Dissatisfaction with the post-Revolutionary government has been high since its start, but Mahmoud Ahmadinejad is considered to be the extreme. He is a radical conservative with Islamist and populist views, catering mostly to Iran’s conservative religious and lower economic classes. While the Islamic Republic has never seen eye-to-eye with the United Nations, or with the United States for that matter, Ahmadinejad’s outlandish comments and refusal to cease nuclear proliferation has put the country in the international spotlight. Last September, shortly after elections in Iran made Ahmadinejad the sixth president of the Islamic Republic, he was scheduled to fly into New York to be at the United Nations. Farahanipour helped organized the rally of thousands that appeared in front of the U.N., protesting not only his welcome in the U.S. but his position as president of Iran. With help from his supporters, Farahanipour chartered an airplane to take protesters to New York. He says that while people came from as far as Norway and from several U.S. cities including Denver and Jacksonville, the media failed to grant the event the coverage it deserved. Tight-knit networking and intelligence have been cited as the reasons behind the Islamic Republic’s success. Farahanipour also blames the media. Only recently has there been any coverage on Iran, but that’s just politics. There are seldom reports on the people of Iran. “If the world understood how people are living, how they are treated, what poverty is like in certain places, and contrast that with the amount of money these mullahs pocket or hand out to terrorist organizations to carry out suicide bombings, then they’d be more inclined to push for regime change,” Farahanipour says. What he tries to stress most in his political campaign is the vast difference between Iranians and their government, which he refers to as a “foreign import” from the Arab world. After the people of Iran revolted against their monarch Shah Reza Pahlavi, Farahanipour says the replacement, religious cleric Ayatollah Ruhollah Khomeini was able to turn one of the most progressive and westernized countries in the Middle East into a religious third world country which coincidentally possesses oil. Women went from wearing miniskirts to covering everything from their heads to their toes. They went from taking pride in their westernized cities to taking pride in their religious and undeveloped rural areas. But the people of Iran have not changed. They wear their miniskirts under their cloaks. They wear the latest styles and makeup. Plastic surgery is as common as anything. They throw parties in their homes, take lavish trips to ski resorts and soak up the sun in nearby Dubai. For the most part, they are still Iranian nationalists who strongly oppose the fundamentalist mentality of their government. Most importantly, their kindness hasn’t changed. It was the kindness and compassion of fellow Iranians that allowed Farahanipour to eventually escape the country in 2000. A bus driver and several passengers helped him hide between the luggages stowed beneath a bus in route to Istanbul, Turkey. “You can’t say that because someone is living in Iran, they are supporters of the regime. It’s not like that,” especially when you consider the number of religious and cultural minorities that have trouble getting clearance to leave the country. Others are loyal to their country, despite the hands, or claws rather, that currently hold it. They put up with the government to stay on Iran’s soil and refuse to be buried anywhere else. As American political and possible military confrontation with Iran becomes almost inevitable, Farahanipour says Iranians are losing time. Although the Iranian government has persuaded its citizens that another revolution is too costly, Farahanipour says the price of a revolution is better than a war on Iranian people and our homeland.